Low Calorie Award. Has less calories per serving of protein than any other whey supplement. 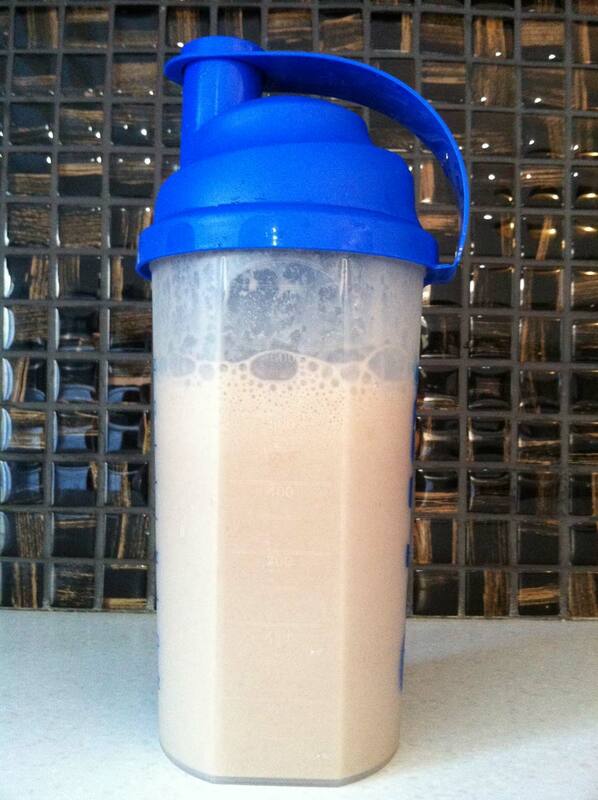 Whey Protein Isolate amino acid profile (per 100g of protein). [Nutrisport] Whey Protein Isolate review. Summary: This is a pure whey protein isolate powder, and for that you get an extremely high level of protein per 100g of powder (86.00g). However, the trade off is that is tastes awful. Nutrisport Whey Protein Isolate is what it is – a pure whey protein isolate supplement. It has a very high protein content (as expected from a pure WPI) and tastes foul because of it. On the plus side though, it's good value for money. 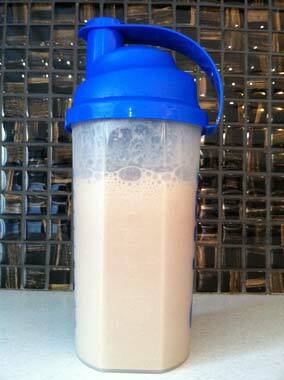 Is it worth drinking a whey protein like this to save a few extra kcal here and there? That's debatable, especially considering how minor the differences are in calories between this and much better tasting whey supplements for an extra 10kcal/serving (e.g. ON Gold Standard Whey). Either way though you can't go wrong, so just stick with whatever suits you best. You're better off buying a supplement that you enjoy and will take consistently as opposed to a higher protein one that you don't look forward to and don't end up taking as frequently. Nutrisport Whey Protein Isolate is all about the nutrition. It's extreme quality in terms of the protein to calories ratio, making it an excellent choice if you're looking to build leaning muscle or just generally get as much protein in to your system for as little calories as possible. Per 100g of powder, Nutrisport's Whey Isolate has 86.00g of protein. I aim for 75g+, and the average is 75.22g/100g. This powder is made solely from WPI, which means that it has been stripped of fat and lactose. This is what allows for it to be crazy high in protein and very low in calories, but is also the reason behind the nasty taste. 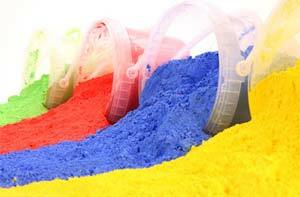 Although some powders have "isolate" in their name, they're not always a pure isolate. Some of them have whey protein concentrate in them too, which contains that additional fat and lactose. Dymatize's Elite Whey Protein Isolate is an example of this. As mentioned this powder just contains WPI and there's no hydrolysed whey. So if you're looking for an even faster-absorbing whey protein for whatever reason you should check out a whey supplement with WPH. With a pure whey protein isolate supplement that has 86.00g of protein per 100g you can never expect too much in the taste department. It's destined to be more unpleasant than your average whey protein that contains <80g of protein/100g. So with that disclaimer, what's it like? Nutrisport's Whey Protein Isolate tastes pastey. Now I don't eat a lot of paste, but I'm sure this shake tastes like it. In addition to this pasteyness (add that to your dictionary) there's an unwelcome aftertaste. I don't know how to describe it, but it's there. Does it taste like chocolate? No. If you blindfolded me and asked me to name the flavour I would struggle, although my first guess would be "paste". Nutrisport WPI is similar to Promax in that they're obviously trying their best to mask an even worse taste rather than trying to make something delicious. Promax does a slightly better job though. All in all, it's not a pleasant drink at all. You definitely know you're drinking whey protein when you buy this stuff, no doubt about it. The kindest thing I could say about it is that it could be worse. 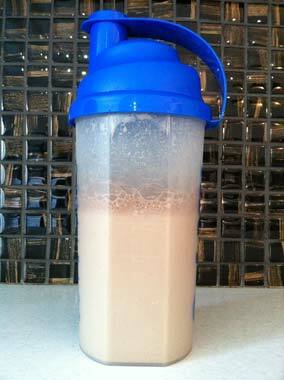 Whey Protein Isolate Mixability: 50g of powder + 400ml of water. It's fluffy and powdery and loves flying around in the air. It's clumpy and sticks together whilst you're shovelling it about with the scoop, which makes it difficult to transfer between tub and shaker easily. It's like that powdered paint you used to get in playgroup, except this time it's okay to eat it. If you're sloppy with your protein powder your girlfriend, mum, or whatever woman you're living with is going to like you even less after using this in the same house as them. If you're careful you'll be fine, but it is tedious work. As far as mixability goes it's not great. It suffers from the same problem as Reflex Instant Whey, where is froths up like hell at the start before finally settling down after a few minutes. After it has settled though the consistency is fine. Loads of froth at the start. This is about 5 seconds after shaking. The first picture is at around 60 seconds.